"The Afghan government does not even question [the US] when civilians are killed in such air raids"
Concerns are growing as military blunders have continued to kill innocent civilians in Afghanistan, two years after errant US air raids killed at least 42 people and razed an MSF hospital to the ground. On October 3, 2015, US raids bombarded the Doctors Without Borders' (MSF) hospital in the northern city of Kunduz. Twenty-four patients,14 staff and four caretakers were among the dead. The US military said the air raid was a "mistake" and apologised, but insisted the attack was not a war crime. Human rights groups widely condemned the raids as they demanded an independent investigation. "After the MSF bombing and many more attacks on civilians across the country, we know that nowhere is safe. No matter where we go, our lives are at risk," said Friadoon Faqiri, a Kunduz resident. "Even in our homes, we are at risk of either getting killed by the Taliban or US air raids," he told Al Jazeera, referring to a September 27 Taliban attack that saw fighters unleash rockets at Kabul's airport as they attacked the plane of visiting US Secretary of Defense James Mattis. But two years on, relatives of those killed say rights groups are "silent" over the raids, as civilians elsewhere continue face mounting insecurity, displacement and death across the country. "After every such mistake, they open an investigation and in a few days' time, we never hear about it again," said Zekrullah Ahmadi, a Kunduz resident whose brother Shafiq was killed in the MSF hospital tragedy. "The Afghan government does not even question [the US] when civilians are killed in such air raids," he said, confirming he has not heard about the result of the investigation. The attack on the hospital came hours after Taliban fighters seized control of the strategic city, in their most significant victory since being booted from power by a US-led coalition in 2001. Afghan forces, backed by their NATO allies, claimed to have wrested back control of the city. Ahmadi's brother, at the time, was undergoing treatment for wounds sustained in a battle between the Taliban and the Afghan security forces. "We found out about the bombing and rushed to the hospital. 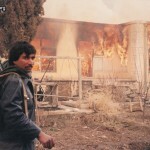 We could not go inside as the building was on fire," Ahmadi said. "We told ourselves, 'We have lost Shafiq' ... It's been two years, and I still can't believe that I lost him." Several military blunders have followed the Kunduz disaster. In November 2016, at least 30 civilians - including women, children and babies - were killed and dozens wounded in a NATO air raid, also in Kunduz. Those raids were in support of US and Afghan forces during an attack which attempted to target senior Taliban commanders, according to provincial spokesman Mahmood Danish. Kunduz residents told Al Jazeera the death toll was higher than the figure given by officials. 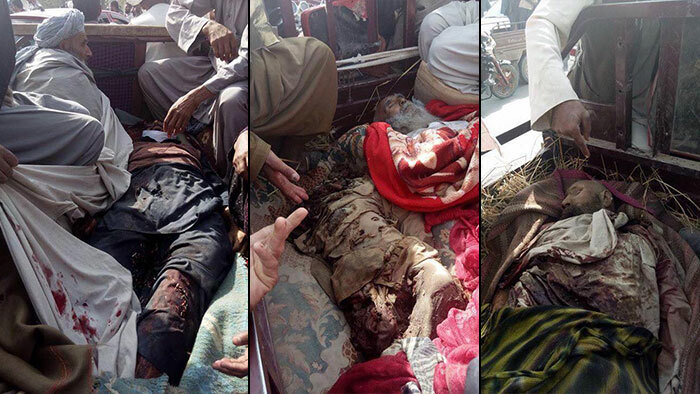 In July, an errant US bombing killed 16 policemen in Helmand city. It came about five months after a US attack in Helmand province's Sangin district killed at least 18 civilians, mostly women and children. According to a UN report in July, the number of civilians killed and wounded in Afghanistan's violence reached a record high in the first six months of 2017, made worse by the Afghan air force carrying out its own air raids along with US forces. Afghan citizens fear worsening security after the Taliban sent chilling messages to the US following President Donald Trump's announcement in August promising more American troops to battle armed groups and support Afghan forces. MSF reopened a small medical clinic in Kunduz in July, the group's first facility after the bombing. The medical aid organisation has since been trying to secure assurances from US and Afghan military officials that its medical facilities would be protected. "Two years after the destruction of MSF's Kunduz Trauma Centre, the need for lifesaving trauma care is extremely high in Kunduz and the availability of free, quality medical care is still very low," Silvia Dallatomasina, MSF's head of programmes for Afghanistan, told Al Jazeera. "The security situation remains volatile and the medical needs will continue to grow. "After the attack on the MSF hospital, we have met and discussed with US and Afghan authorities at all levels - military, civilian, political - over a period of one and a half years," she said. Although there was no impartial investigation after the attacks, MSF has managed to get "explicit commitments" that its staff, patients and hospitals will not be attacked in future. "We know there are no full guarantees when working in an active conflict, but we believe that the thorough negotiation process and the commitments we have obtained allow us to move forward and work again in Kunduz," Dallatomasina said. Many Afghans do not believe that the new US strategy will solve problems such as unemployment, corruption and a lack of education and health centres. Trump has made it clear that he does not intend to solve those problems; instead, he seems focused on winning the war militarily. In his August speech, the president said security assistance was "not a blank cheque". "We are not nation building again," he said. "We are killing terrorists." The number of American soldiers in Afghanistan has grown to 11,000 soldiers, exceeding the previous official level of 8,400 troops. In response, NATO's Resolute Support mission in Afghanistan said that US aircraft launched raids to support search operations by Afghan security forces near Hamid Karzai International Airport. However, a missile "malfunctioned", the NATO mission said in a statement. promising an investigation. A woman was killed, and 11 civilians were wounded, according to Afghan officials. "We have made significant changes to our targeting process and do everything possible to reduce or eliminate the potential of civilian casualties," the mission said in an email sent to Al Jazeera when asked about the growing number of civilian casualties. With close to 2.6 million refugees in 82 countries, Afghanistan remained the leading country of origin of refugees in 2012.